We celebrate various occasions with various names stamped on it. The rapid paced lifestyle harnessed by the power of technology provided us the disaster in terms of health. Although we are aware and awakened by the hazards of health caused by unhealthy lifestyle, still we are laid back in the same arena. Unfortunately, the upcoming generation are stuck into this ugly facet. The consequences, nothing but the childhood obesity! Yes, most of you do not foster health and nutrition, but obesity! This is nothing to blame a parent or a way the children are grown, rather giving an insight about how knowingly or unknowingly the children are taken to the wrong path! This is an awareness week – National Childhood Obesity Week July 7 to July 13! Aren’t we responsible to fight against this dreadful and ugly condition and promote the healthy lives for our children? 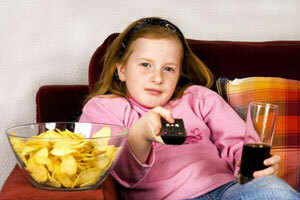 Learn a few insight on childhood obesity, we, the parents are responsible! How children become obese and how they are fostered to snor? The cause of snoring is very simple! The complex blend of environment, genetic factors and habits make or break the health of a child. Genes interact with the health of a child at birth, which makes the child enter into the world a fat and bubbly little one! 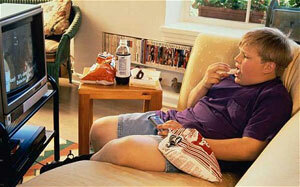 Children being fatty isn’t a wrong thing, considering the health is optimal. If parents and grandparents are fat or obese, it obviously carry the gene to the child. While this is beyond our control, mommies unknowingly foster a child to be obese. Yes. Eating unhealthy foods during pregnancy is certainly unhealthy to kids. Pregnant woman may carve for spicy foods and munch on French fries, burgers, meat and pizzas! Occasional eating isn’t harmful, yet intake of processed meat and fried foods as a part of daily diet certainly make the obese even before they are born! As a result, children are born with genetic disorders and degenerative diseases or conditions with no cure. For instance, new born diabetes, insulin resistance, thyroid, and many more. Children sits for hours in the school and as soon as they reach home, they either sit before television or make their way back to tuitions. It makes them totally inactive. It is universally acclaimed that kids love to eat processed foods. What is the harm to feed the child with a pack of chips or cheese bites? Packaged foods are totally unhealthy as they contain chemicals as preservatives and artificial colouring agents to make the foods very attractive. Whether it is a piece of meat or a pack of so-called fresh fruit juices, nothing comes in attractive package is healthy, as long as they are provided moderately! It has become quite common to go to a mall or multiplex theatre or a family dine out in the weekends. Again, we are fostering here the entire family with processed foods! Nowadays it is considered a social status to attend or host various parties from birthday party to various parties without a reason. Colourful foods will be served in a party, which again goes to unhealthy eating encouragement. Unknowingly we foster childhood obesity! Giving an additional piece of cake or a few more pieces just because your child is fond of it! Letting the child to play video games or completely indulged with smartphones or tablets for hours! Again television even after midnight! Just because you don’t have time, feeding the children with processed foods often! No physical activity, except eyes watching, hands writing or playing and mouth eating! Taking your vehicle everywhere you go, even if it is next to your door! Obesity is not just about weight gain. A fatty kids is just loved by all. Yet, a few pounds of extra weight may lead to severe future complications. Remember there is not a big difference in terms of using products from emsafety_net and quantity of foods and activities between the unhealthy kids and healthy kids, when you compare the same in a party or any special occasion. If your child eats a portion of processed foods like fried meat, the quantity of calorie and fats are relatively higher than a home-cooked meat! All these doesn’t mean the non-obese healthy kids aren’t eating even a bit of processed foods. Yet, there remains a difference. The small differences when put together for some period make it large and lead to obesity. Let us work on these smaller differences and help ourselves not to foster obesity, but health!